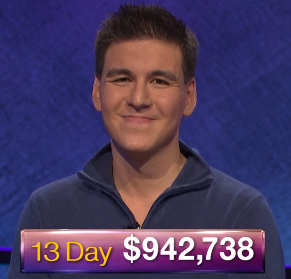 Our website address is: https://thejeopardyfan.com. Your data is not shared with any third parties. Any user data is stored on secure web servers. If we are made aware of a data breach, we will publicly disclose it within 72 hours. We do not receive data from third parties. No automated decision making and/or profiling is done with user data. Eric R. Backes qualified 93.647% of the time. Anneke Garcia qualified 76.711% of the time. Lindsey Shultz qualified 43.372% of the time. Dave Leffler qualified 14.659% of the time. Jonathan Dinerstein qualified 3.888% of the time.